Our range of products include ayurvedic pharma contract manufacturing and garlic extract capsules. Navchetana Kendra is one of the fastest growing herbal medicine manufacturer and supplier companies of India. We are the leading Manufacturers, Suppliers and distributors of big range of Pharmaceutical Medicines like, Tablets, Capsules, Syrups. With years of experience as a Pharmaceutical Third Party Manufacturing, our products have been well accepted by healthcare and medical fraternity for their consistent high quality and packaging. We provide a complete solution for all of your manufacturing needs. Our pharmaceutical third party manufacturing are equally useful for new and startup companies as we also provide less quantity to new companies as a third party manufcaturing and also to the old pharma giants, of the industry.The motto is for healthy lives. It is committed to provide quality branded medicines & generics at affordable prices to patients worldwide aiming to reduce health care costs. We uphold quality measures at all stages from material procurement, process optimization, formulation and stability. Large scale production capacity and qualified & experienced production and quality control staff are a perfect combination at navchetana Kendra for sufficing the outsourcing or contract manufacturing requirements. 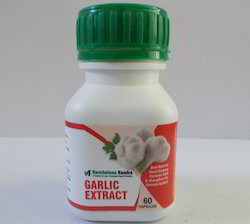 We are among the celebrated names in the industry, engaged in offering Garlic Extract Capsule. 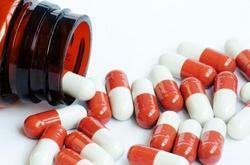 This capsule is widely used all over the world to treat heart disease, common cold and even cancer. Being safe for consumption, it is widely recommended by physicians all over the world. Customers can avail this capsules from us in bulk quantities at affordable prices.